THIRD ANNUAL Foster Parents You DO Make a Difference Conference! Open to all Adoptive Families, Relatives Caring for Children, Foster Families, and Social Workers. 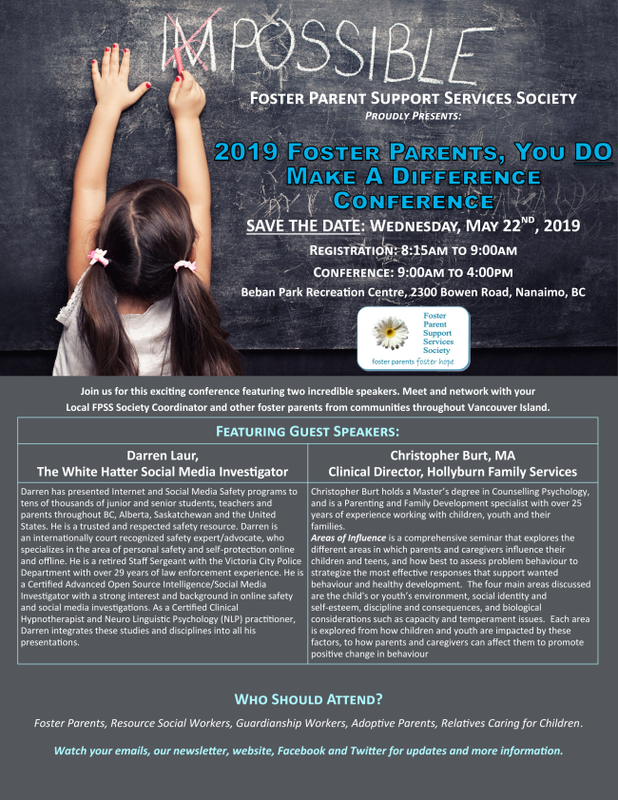 We are excited to announce that on Wednesday, May 22nd we will be hosting our THIRD ANNUAL Foster Parents You DO Make a Difference Conference! Please help us and let your friends, colleagues and followers know about our page: THIRD ANNUAL Foster Parents You DO Make a Difference Conference!